Adelaide Island was first sighted from the brig Tula in February 1832 when completing a circumnavigation of the Antarctic continent. The ship’s master, John Biscoe, named the land after Queen Adelaide, the wife of British monarch King William IV. 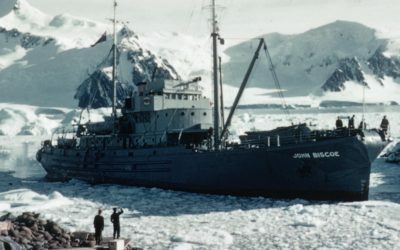 It was not until the British Graham Land Expedition of 1934–37 that Adelaide was confirmed to be an island separate from the Antarctic Peninsula. 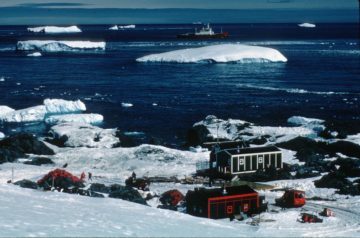 The base at Adelaide Island (referred to as Adelaide from July 1962) was established on 3 February 1961 on the south-west tip of the island. This was in preference to Rothera Point as it had a better skiway for aircraft and less sea ice to hinder access by ship. It was closed when the skiway deteriorated and operations were transferred to Rothera (Station R). Survey, glaciology, geology and meteorology. Main air facility and centre for airborne earth sciences programme. 3 Feb 1961 – 1 Mar 1977. Jerome and Sally Poncet wintered there in 1978 aboard the yacht Damien II. The original building was known as Stephenson House after A Stephenson, surveyor on the British Graham Land Expedition (BGLE) 1934-37. An additional hut named Rymill House after J R Rymill, leader of BGLE, was erected in Mar 1962. A separate accommodation hut named Hampton House after W E Hampton, deputy leader and chief pilot of the BGLE, was erected on 1 Jan 1963. This was formerly the garage at Fossil Bluff (Station KG). A plastic accommodation building was established on 3 Mar 1967. 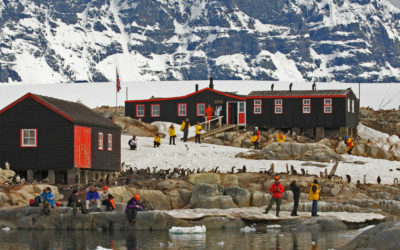 Transferred to Chile 14 Aug 1984 and renamed Teniente Luis Carvajal Villaroel Antarctic Base (Teniente Carvajal).  For full listing of all station histories, see History of British stations and refuges.